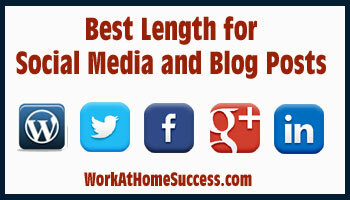 Buffer Social recently posted this great infographic providing the optimal length of social media and blog posts. The big surprise for me was the suggestion that blog posts should be 1,600 words. Mine are almost always around the 400 to 600 word range. If you visit Buffer Social, you can read an article that goes into more detail on creating optimal length blog and social media posts.